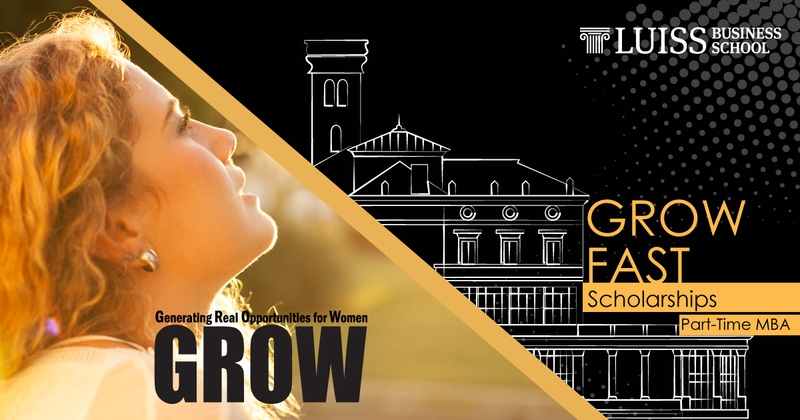 GROW FAST stands for Generating Real Opportunities for Women – Financing And Supporting Talent and is a program initiated in LUISS Business School to promote, support and improve personal and professional growth of its female students. An outstanding and talented female candidate will be selected to fast track her career in Bridgestone while attending a fully sponsored 2-years Part-Time MBA at LUISS Business School. Bridgestone, the world’s largest manufacturer of tyres and other rubber products, employing over 140.000 people around the world, operating via 3 technical centers and 178 manufacturing plants and sell products in more than 150 countries. LUISS Business School, an internationally accredited provider of business education, based in Rome (Italy). To be eligible, you need to be a female candidate with a background in Engineering or Business. Be selected by Bridgestone as a fit with the following job position.